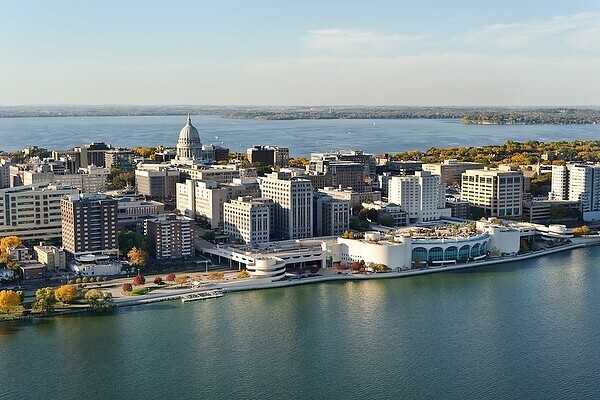 Clean Lakes Alliance is pleased to announce a trifecta of speakers joining us for our Community Breakfast on Wednesday, May 8th at the Alliant Energy Center Exhibition Hall. We’ll hear from City of Madison Mayor Satya Rhodes-Conway, Dane County Executive Joe Parisi, and Wisconsin DNR Secretary Preston Cole about their plans for the Yahara Watershed. 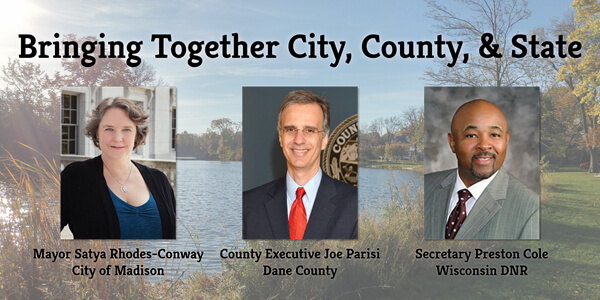 At the breakfast, we’ll renew our public partnerships with the city, county, and state to align our efforts for the Yahara CLEAN Compact and to improve water quality. Join us for the beginning of a NEW united approach to lake health. It’s Official – Ice on for Lake Mendota! Despite warm weather in Madison over the weekend, cool nights, light winds, and cold water helped Lake Mendota officially freeze on Saturday, December 15th. Lake Mendota, the largest lake in the Yahara Watershed, froze eight days after the smallest lake in the watershed, Lake Wingra, which officially froze on December 7th. Lake Monona officially froze on December 11th. The Wisconsin State Climatology Office requires ice to hold for a period of 24 hours before a lake can officially be declared frozen over. After ice took shape this weekend, staff waited to see whether it would hold out through the warm daytime temperatures. The December 15th freeze date is 12 days ahead of last year’s December 27th freeze date, and a surprising five days ahead of the December 20th median freeze date. The latest freeze date for Lake Mendota was January 30th – which happened in the winter of 1932. The Wisconsin State Climatology Office makes the official determination as to whether the lake is frozen. The climatologists use the same guidelines they have used for decades to determine whether the lakes are iced over. This allows for a continuity in data collection. Read more: Determining ice cover on Madison’s lakes. The Evjue Foundation, the charitable arm of the Capital Times Company, recently announced grants to 56 nonprofits in Dane County. The latest grant contributions bring the total awarded by the Evjue Foundation in 2018 to $2.3 million. Clean Lakes Alliance’s Lake Explorer Camp is honored to be chosen as one of the grant recipients. Clean Lakes Alliance will receive $5,000 to support its Lake Explorer Camp. The camp is an opportunity for young people to learn about our lakes and waters. Clean Lakes Alliance believes connections to nature begin to develop in childhood. Children who have educational experiences with our lakes will grow to treasure our waters.